We removed the old bath suite and wall tiles as requested by the customer. Once these were disposed of it opened up the bathrom space with all the extra room to play with. 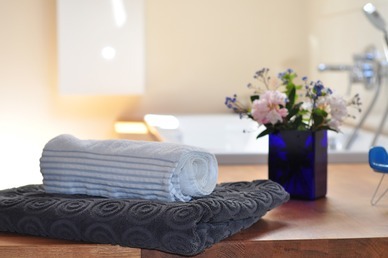 We installed an exquisite new basin and toilet, along with spacious units, a modern style, chrome panel towel radiator for a quick and effortless way to warm up and dry your towels. In addition to this, we fitted in a mirror unit with a built-in light and tooth brush charger. The team then installed high-quality ceramic wall tiles with a superb, luxurious marbled mosaic border and feature strip for a modern designed ambience. This type of wall has a smooth and flat surface which allows for a easy cleaning and maintenance. We fitted the walk-in shower with a dual head shower, 1700 x 800 shower tray alongside a 900mm glass side panel. Compared to shower panels wheels or joints that typically become quickly encased in a layer of limescale, this glass side panel allows for a much easier cleaning experience. The stunning overhead shower head, called a rain shower drencher, is an indulgent touch and combined with the height adjustable removable shower handset, makes for a bathroom with endless benefits. 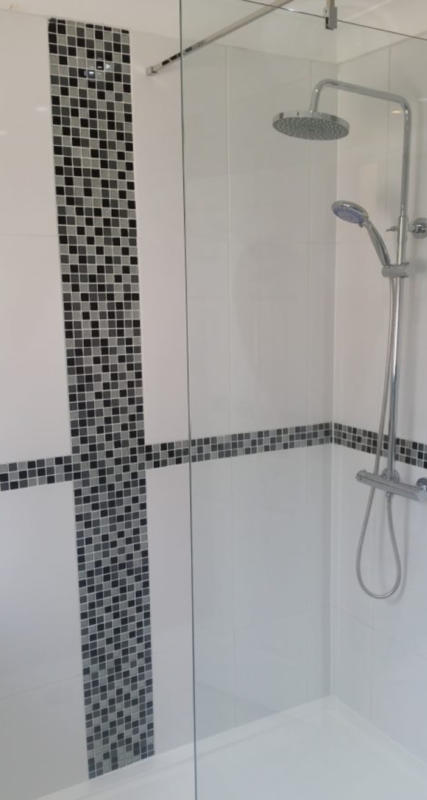 Our team completed this new installation in the home of Mr and Mrs Barns based in Bedford, who said that they genuinely ecstatic and amazed with how the finished bathroom looked. If you love this project and need help designing your new bathroom please call us on 01234 743642. We would love to hear from you.